Wouldn't a music critic's judgment be more valid if he was actually making music? Growing up in both NY and Miami, Michna (real name: Adrian Michna) is that unique breed of artist that draws from both the urban and the tropical. As a youngster, Adrian started DJing parties with cassettes and playing trombone in a band on the NYC bar circuit including the infamous Lion’s Den and CBGB’s. After moving to Miami in the mid-90’s, he co-founded the pioneering Secret Frequency Crew, who deftly mixed instrumental hip-hop and electronic into a coherent whole. Their appropriately titled 12” “Miami Eyes,” became an underground hit. SFC’s debut LP “Forest of the Echo Downs” also put Adrian on Ghostly’s radar as it was one of label founder Sam Valenti IV’s top LPs in 2004. Currently based in Brooklyn NY, Adrian Michna has become a staple in the NYC club scene, known for his chameleon like abilities. Outside of the club, he has been able to pursue interests such as building furniture, bicycles, skeeball and painting. Adrian found his stride as a solo artist by bringing together his myriad influences into a succinct sonic persona with 2008’s debut LP MAGIC MONDAY and well-received single “Triple Chrome Dipped”. 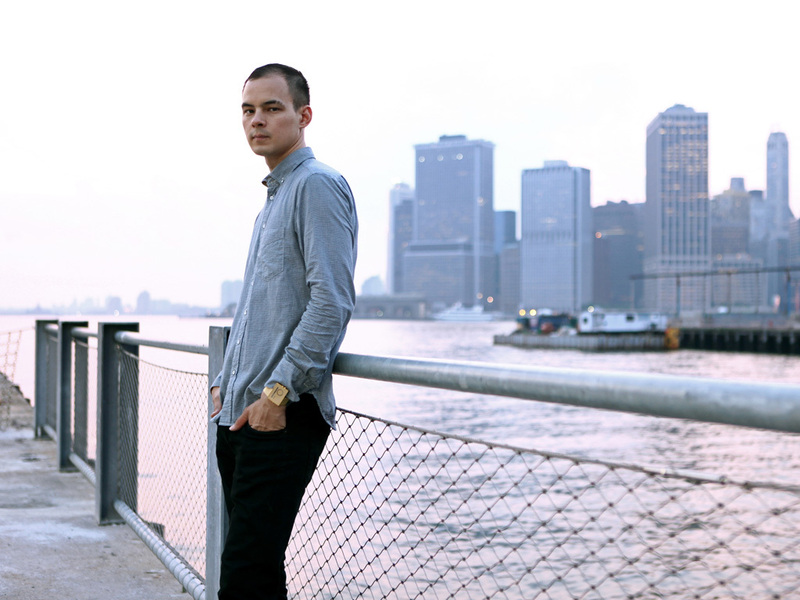 It was the producers tightly woven musical amalgam of hip-hop, booty, electro and detailed process that made Michna’s debut album move. He followed up his debut with the EGGSTRA EP which leaned more towards a heady mix of hip hop beats and breakbeat. Four years later, we see a great leap forward in terms of both songwriting and production with a more futuristic house meets hip hop nod on the Moving Mountains EP. The wait was well worth it.